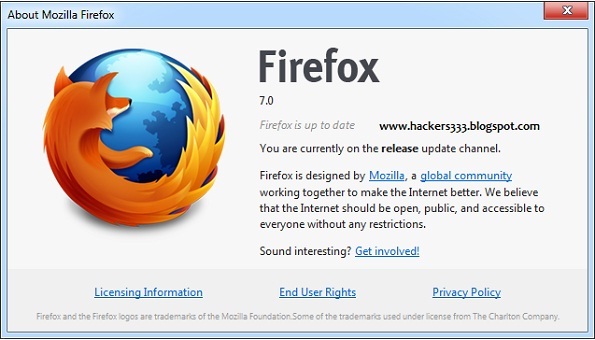 Mozilla has announced to Firefox 7 launched with fixed of many bug like memory management issues. Mozilla claims that users should notice that the browser loads and also opens tabs quicker and now Good memory management and less memory use.Mozilla Firefox Significantly Reduces Memory Use to Make Web Browsing Faster. Mozilla claims to have finally solved the memory issue. With the latest version of Firefox, version 7, the browser is designed to use up to 50% less memory. Firefox 7 include enhanced graphical performance with hardware acceleration, a major speed boost for Firefox Sync, some UI enhancements, stability and security updates.Firefox 7 is available for download for Windows, Linux and Mac in over 70 languages. You can download from this link for your selected language and platform.